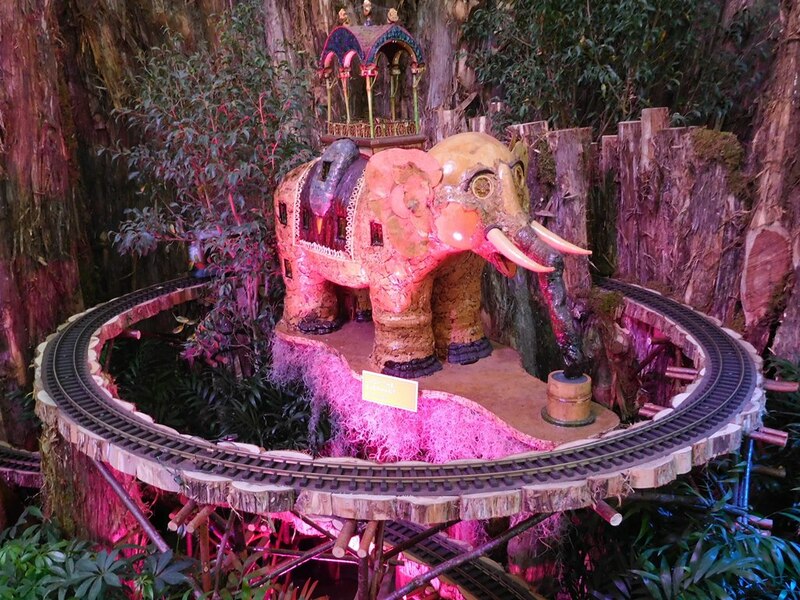 The display contains more than 40 individual structures made of plant materials, ranging from a Route 66 diner to the Corn Palace, Cadillac Ranch, Mount Rushmore, Lucy the Margate Elephant, Niagara Falls and the Maid of the Mist, and many more roadside attractions you may or may not know about. 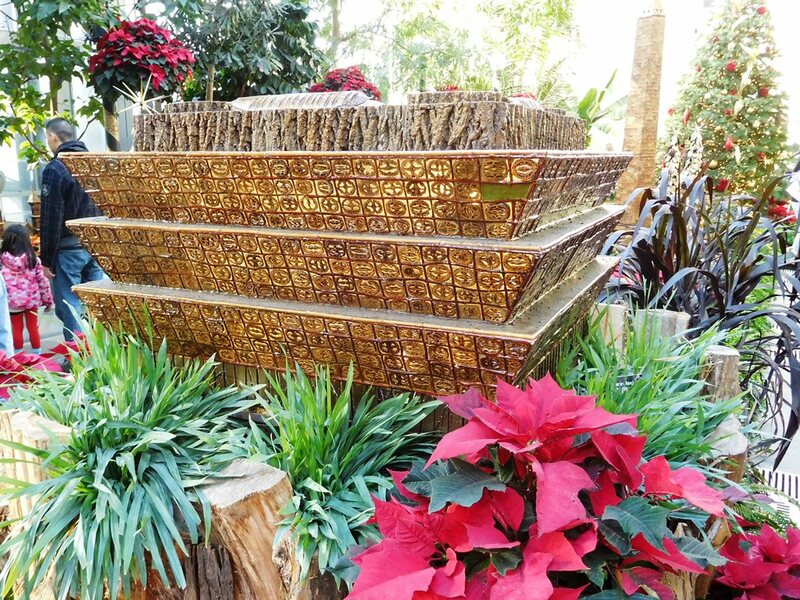 Applied Imagination, a Kentucky-based firm, has worked with the Botanic Garden to create a new display every year since 2004. 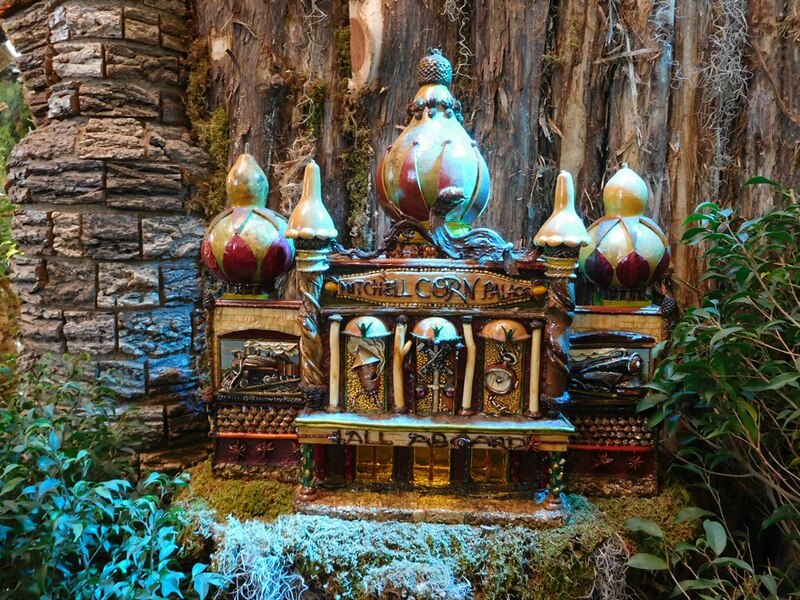 On display each year as well are a dozen models of iconic Washington monuments, memorials, museums, and other buildings also crafted from plant materials. Niagara Falls, the Maid of the Mist tour boat that takes visitors close to the falls, and the Rainbow Bridge linking the U.S. and Canada. The Corn Palace in Mitchell, South Dakota, is famous for the murals made from corn that adorn its exterior walls. 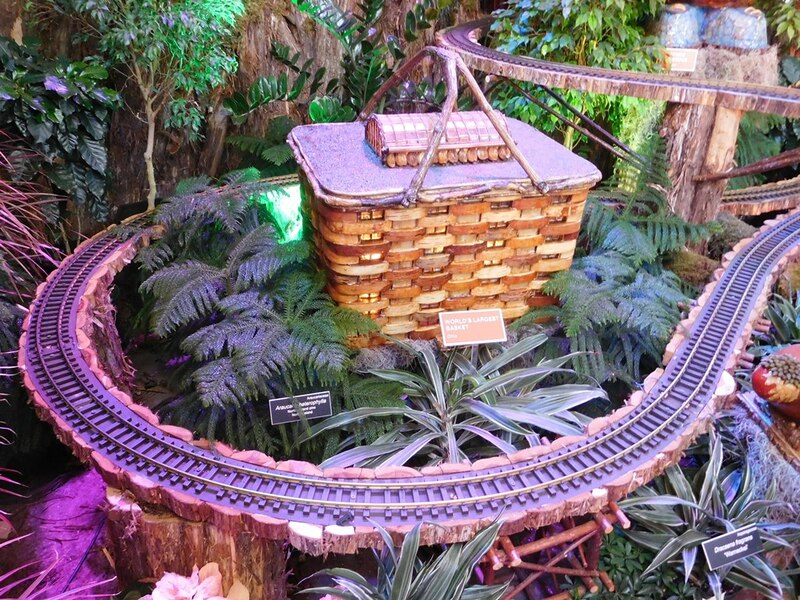 The “World’s Largest Basket,” a building shaped like a picnic basket built as the headquarters for the Longaberger Basket Company in Newark, Ohio. Lucy the Elephant, an iconic landmark in Margate City on the Jersey Shore. A Route 66 diner, this one modeled after one in New Mexico. 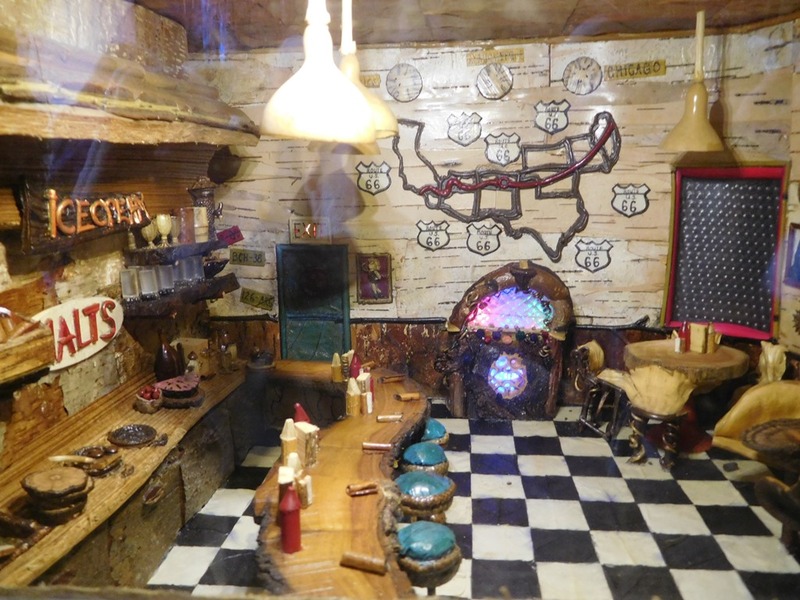 An incredibly detailed miniature diorama of a Route 66 diner. Watch for a few other displays outside the main exhibit. 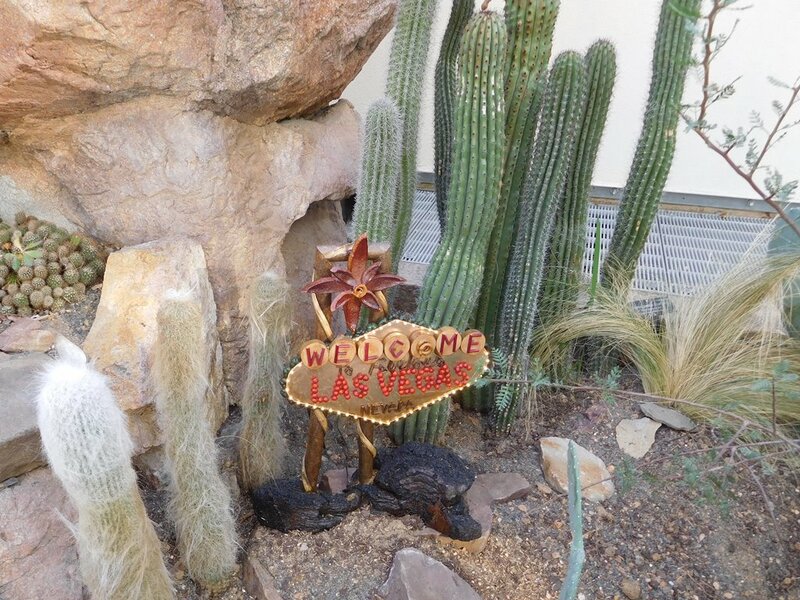 This vintage Las Vegas sign is in the Botanic Garden’s desert plants display. The creativity and detail work evident in these creations is spectacular. 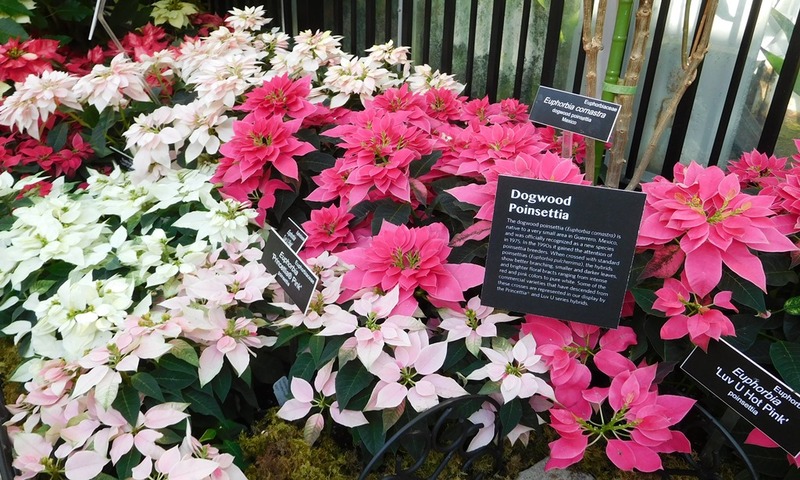 So are the conservatory’s poinsettia displays. 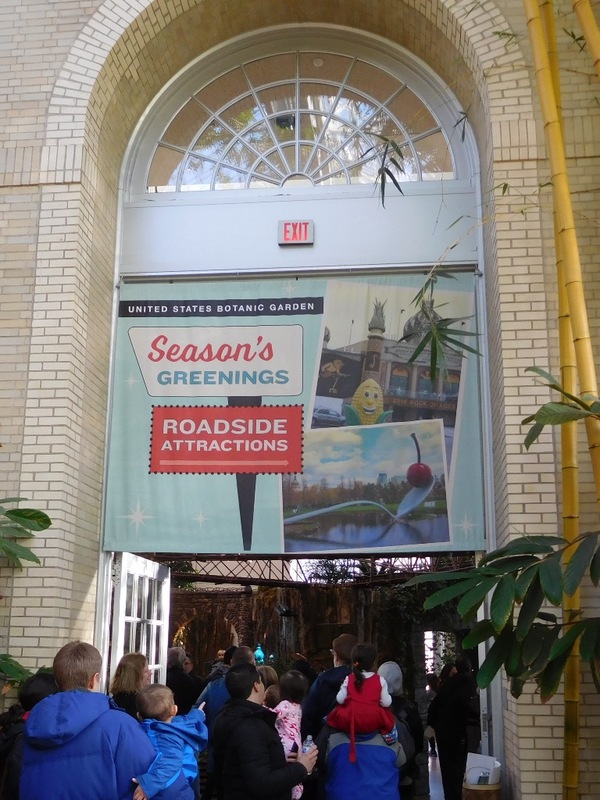 Visiting the U.S. Botanic Garden on Christmas morning has become a tradition Sue and I look forward to every year. A new addition is the Smithsonian’s National Museum of African American History and Culture. 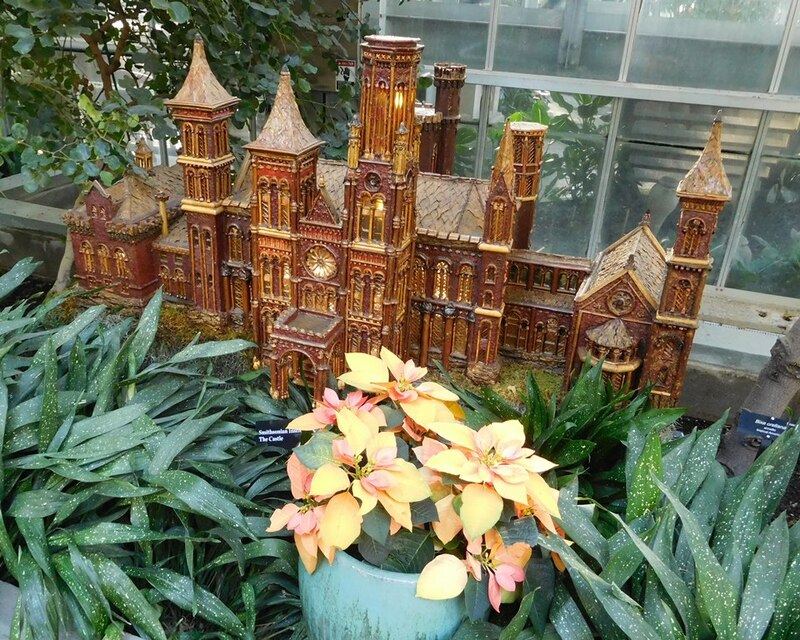 A personal favorite: the Smithsonian Castle. 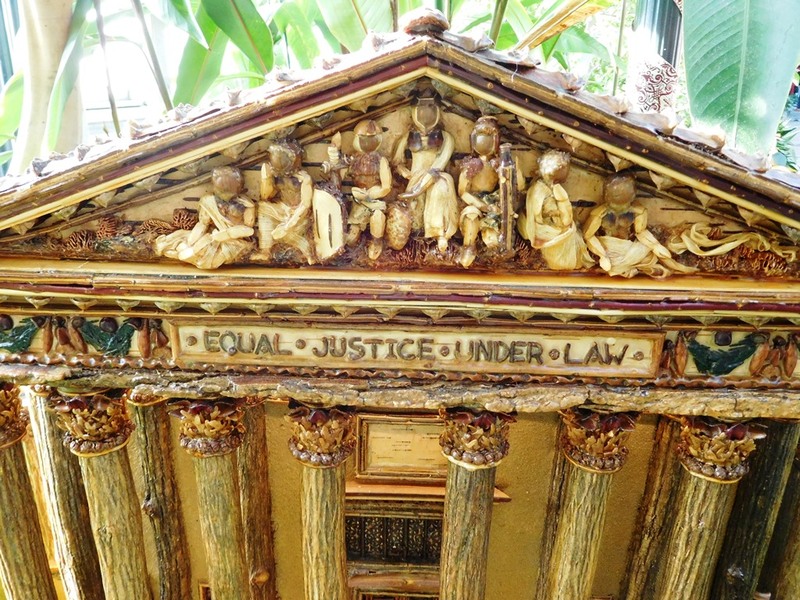 Consider the details on the facade of the Supreme Court. 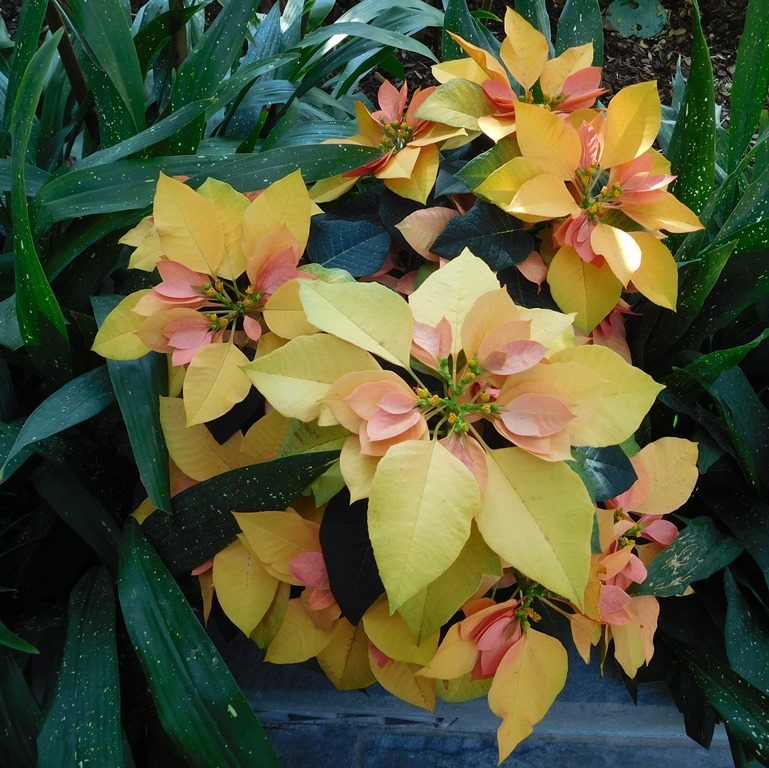 The Botanic Garden has small but spectacular displays of poinsettias. 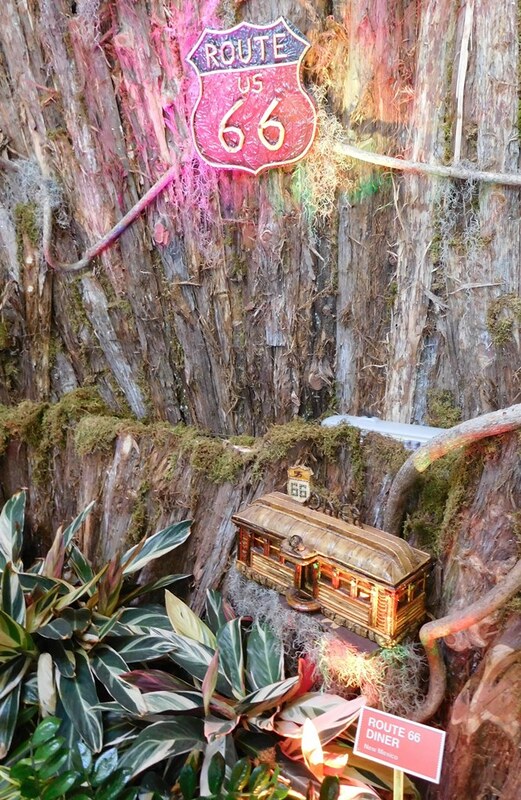 “Roadside Attractions” opened on Thanksgiving and is on display until New Year’s Day. 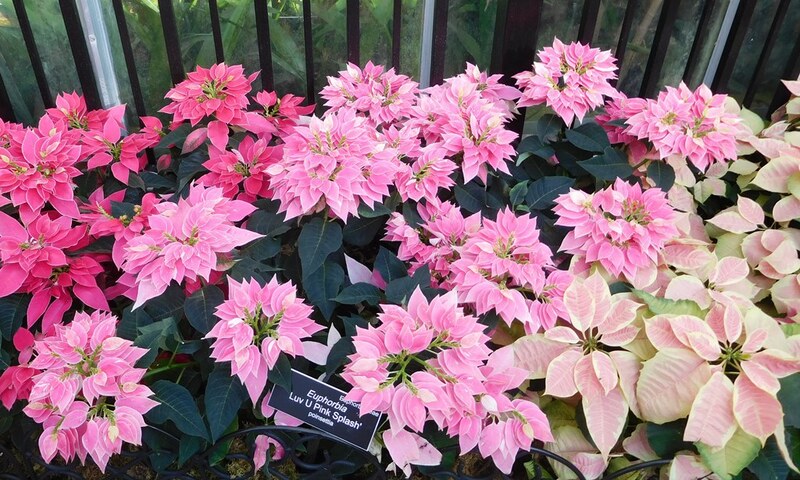 For more information, visit the U.S. Botanic Garden website. 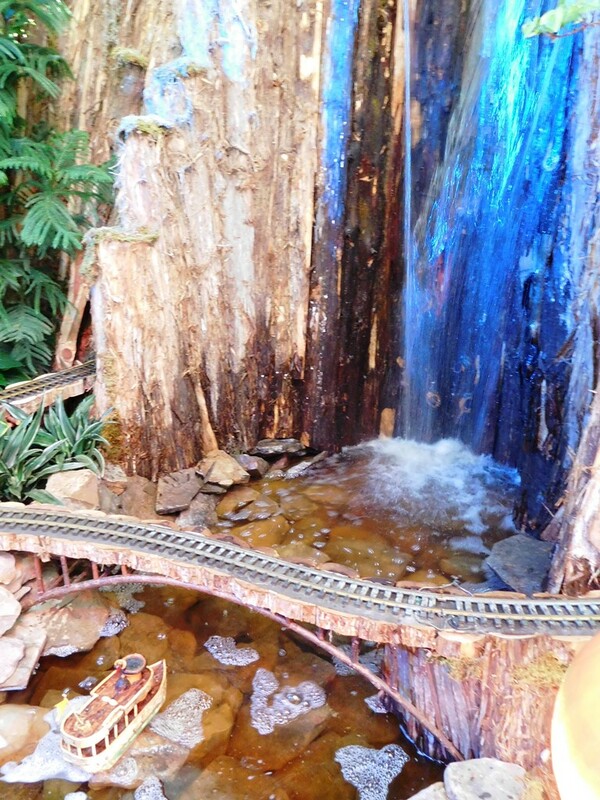 This entry was posted in DC, Local, Musings and More and tagged Gardens. Bookmark the permalink.